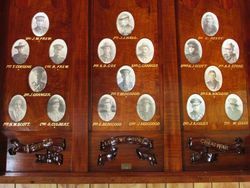 A carved timber photographic honour roll commemorates those from the district who served in World War One. On Sunday afternoon there was a large and representative gathering at the Hall to witness the unveiling of the honor board, provided by the local residents. The hall was nicely decorated for the occasion, the Honor Flag won by the shire in connection with the last Federal War Loan, and the flag presented by the Avon Council (England) to the shire being in evidence. The proceedings were presided over by Cr. Chinn (President of the Shire), who complimented the residents on erecting so fine an honor board in memory of the brave men who had enlisted in the district. He also took the opportunity of congratulating the district on the fine response to the last war loan, and hoped that the honor flag in evidence that day would stimulate them to further activity on the occasion of the next war loan. 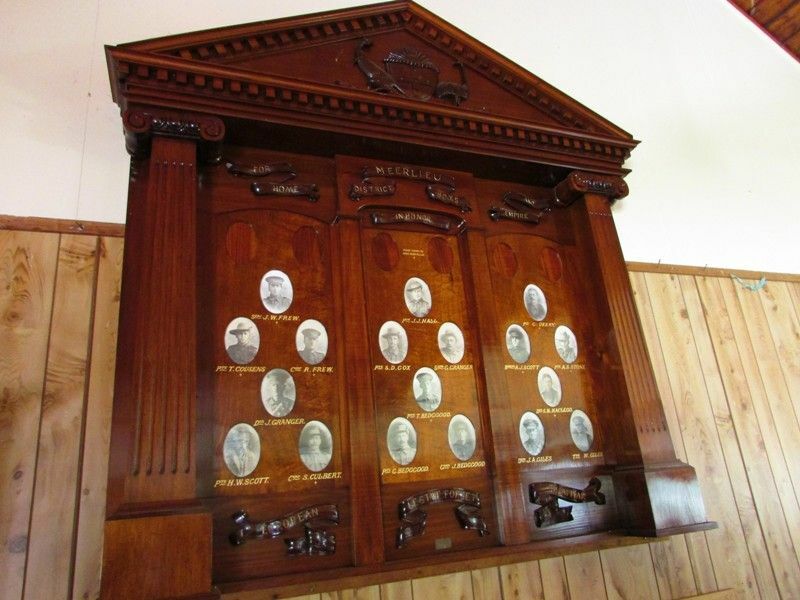 The blackwood honor board, which is neatly designed, has the photos of the local heroes artistically inset. 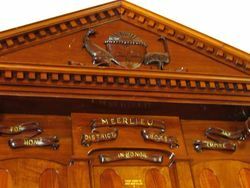 The board was unveiled in a fitting manner by the Rev. Mr. Bray, of Bairnsdale. Gippsland Times (Vic), 6 February 1919.